Leopard print has long been part of my wardrobe, from shoes and handbags to coats, skirts, dresses and pants. 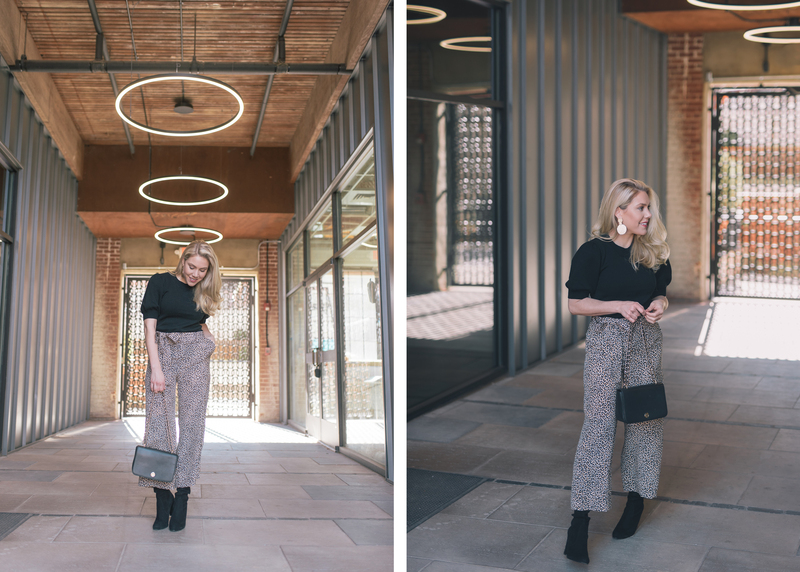 It’s neutral palette makes it very versatile and easy to style. Use it to accessorize an outfit or make a statement all on its own, either way, leopard print is anything but basic! 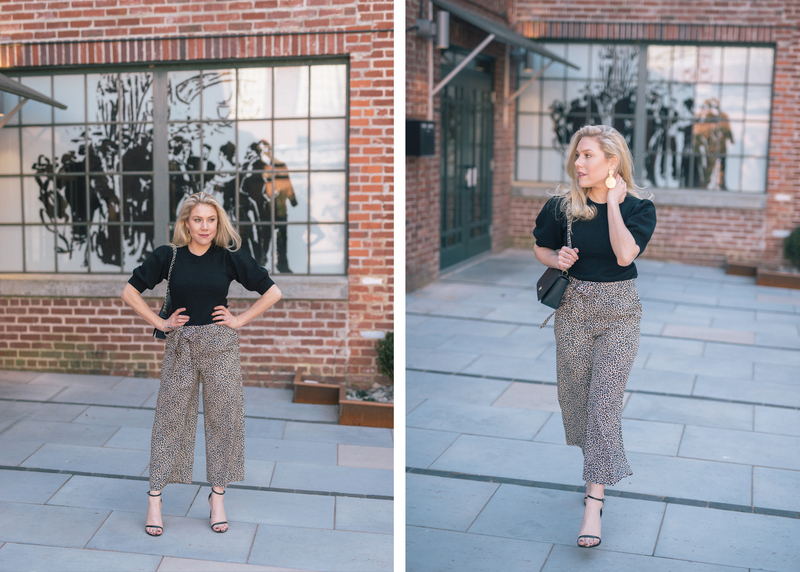 I couldn’t resist the comfortable fit of these J.Crew silk pants. 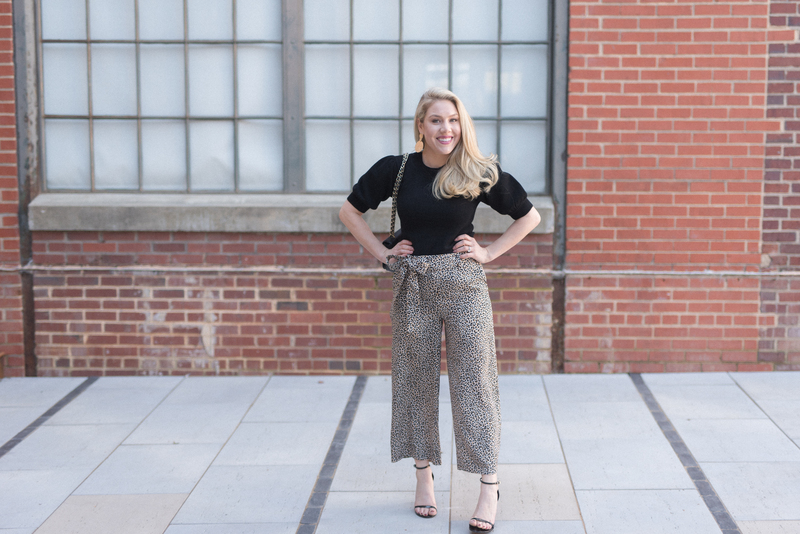 The breezy, wide-leg cut and sweet details (like the bow belt) nod to spring, but since the print is on the darker side, I didn’t feel like I was fast-forwarding to spring too quickly. 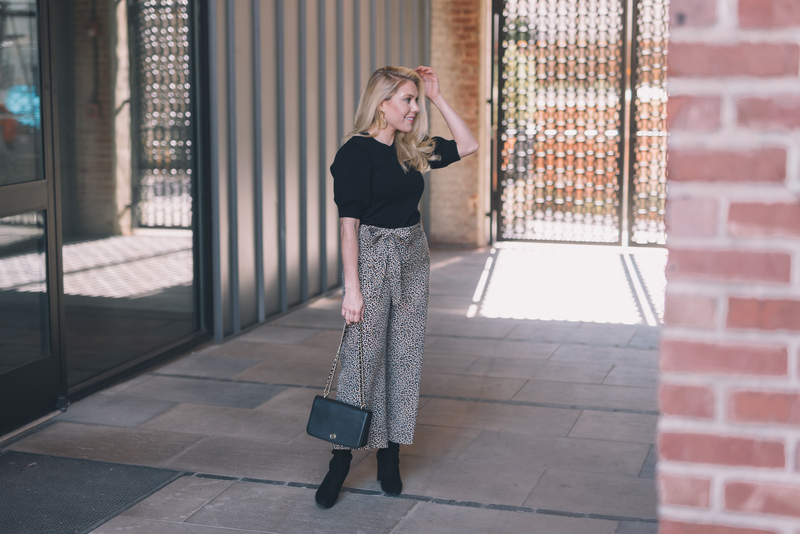 Here I’ve paired these leopard print pants with both black suede boots, as well as a patent sandal to show you its versatility. For seasonal styling, it all comes down to a garments texture and material. If you’re wary of adding leopard print to your wardrobe, start with shoes! You’ll be surprised how often you reach for them. 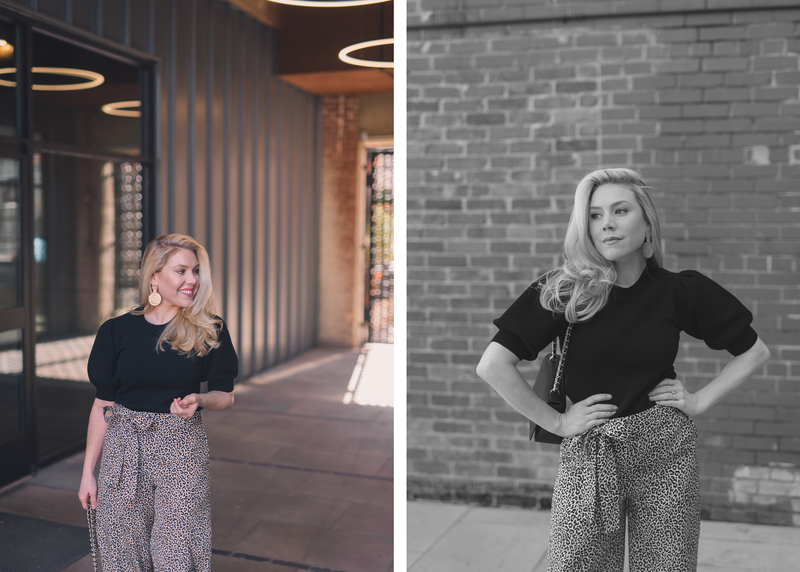 My tip of advise when choosing leopard pieces: the smaller the scale of the print, the more subtle the overall look will be. More often than not, I prefer small-scale leopard print on large pieces, and larger-scale prints on small items like accessories. I also just realized I never shared our holiday photos last year! I’ll work on doing that within the next week. 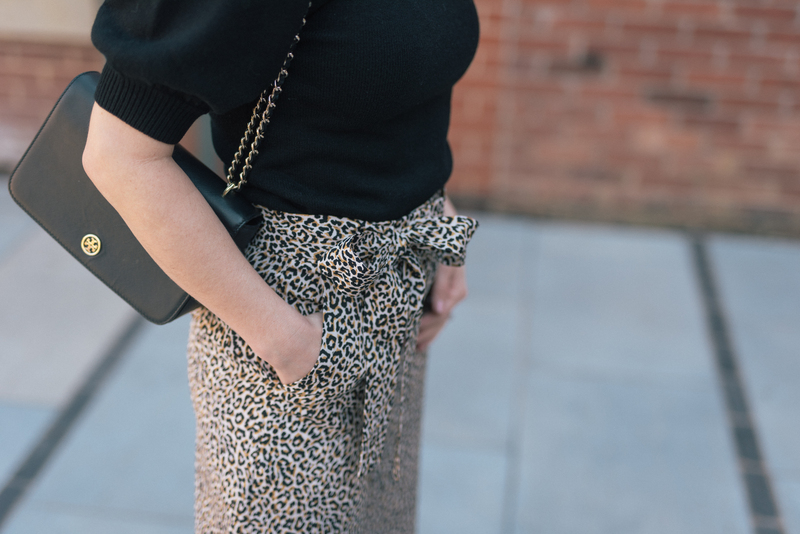 I wore the most beautiful leopard print skirt; a piece that will easily transition as we head into spring. What are your favorite ways to style leopard print?